KUALA LUMPUR (Oct 3): Former Bank Negara Malaysia (BNM) Governor Tan Sri Dr Zeti Akhtar Aziz walked away with the Royal Award for Islamic Finance 2018 tonight, in conjunction with the Global Islamic Finance Forum 2018 held here. The honour was awarded to Zeti for her achievements and leadership in expanding the frontiers of Islamic finance in the domestic and global financial arena, according to a joint statement by BNM, the Securities Commission Malaysia and the Islamic Finance Marketplace. “During her tenure as the Governor of BNM, she was instrumental in influencing the internationalisation of Islamic finance industry and strengthening the linkages of the domestic Islamic financial system with other financial centres in the international financial system,” said the statement. “This was achieved via development of the domestic financial markets, greater liberalisation of the domestic Islamic financial system and advocating Islamic finance into the global financial arena,” it added. Concurrently, Zeti is also deemed to have helped bring Islamic finance into the mainstream, with growing international acceptability and recognition. “This has been supported by the establishment of an international standard setting body and liquidity management infrastructure which have gained global recognition,” said the statement. The former Governor also helped establish International Centre for Education in Islamic Finance being the global university for Islamic finance, and International Shariah Research Academy for Islamic Finance). “She was instrumental in harnessing professional and competent talent through the development of a comprehensive talent ecosystem for Islamic finance,” it said. 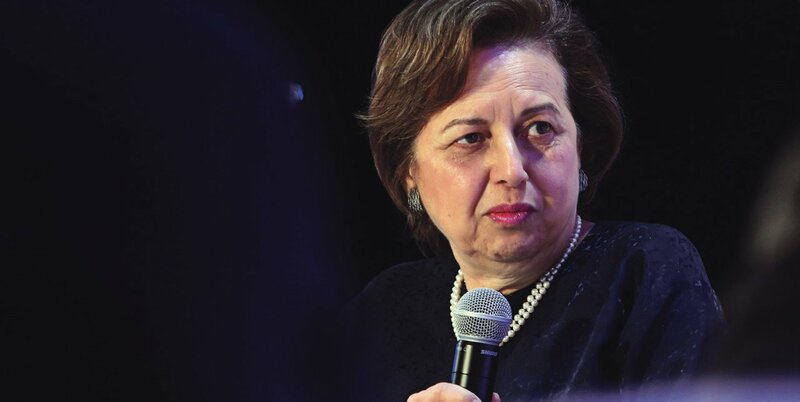 In receiving the award, Zeti said that the honour represents a rcognition “to all those who have travelled” with her as part of the journey in the global development of Islamic finance. “I am truly most humbled to receive this award on their behalf,” she said. The Islamic financial industry, said Zeti, has experienced an unprecedented pace of growth over the last three decades. “It has also been dynamic and evolving to meet the rapidly changing requirements of the modern economy. “As we continue this journey, we now need to venture into new frontiers towards bringing greater value to the economy, to society and to the environment,” she added. The recipient of the Royal Award was selected by a group of juries through a “very stringent and rigourous selection process” on the merits and achievements of each nominee, said its chairman Tun Musa Hitam. “Widely recognised for her role in the global advancement of Islamic finance, Tan Sri Dr Zeti’s contribution, dedication and leadership in the development of Islamic finance industry serves as an inspiration for the next generation,” said Musa.